Keep Safety in Mind Labor Day Weekend | Hupy and Abraham, S.C.
As summer comes to an end, many look forward to Labor Day weekend as the last opportunity to get out and enjoy the remaining warm weather. Whether you choose to travel for one last vacation or to stay home and grill, it’s important to keep in mind that Labor Day weekend is considered one of the most dangerous weekends for automobile accidents. According to the National Safety Council (NSC), most accidents that occur during busy holidays are preventable, and simply require common sense actions to keep everyone safe. 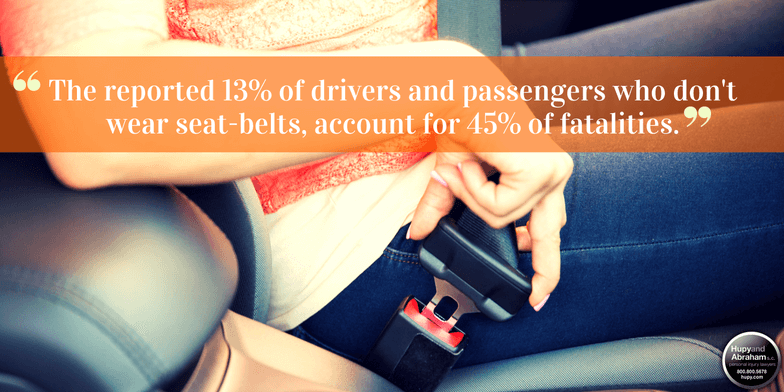 A statistic from the National Highway Traffic Safety Administration (NHTSA) in 2014 estimated that only 87 percent of vehicle occupants wear seat belts, and the remaining 13 percent of drivers and passengers who did not, accounted for 44.7 percent of fatalities. The automobile accident attorneys at Hupy and Abraham would like to remind the pubic that small acts of prevention have a big impact on not only personal safety, but the safety of others as well. They recommend the following tips from the NSC to keep you and your loved ones safe this Labor Day weekend, on the road or otherwise. Making sure every passenger buckles up every trip. Designating an alcohol- and drug-free driver or arranging alternate transportation, like that offered by Wisconsin’s Safe Ride program. Never using a cellphone behind the wheel, even hands-free. Staying engaged with your teens’ driving habits. An NSC survey found many parents are more inclined to loosen household driving rules during the summer. On another note, in Milwaukee, the Harley-Davidson Milwaukee Rally will also be taking place during the Labor Day weekend. Keep in mind that motorcycles are much harder to see, and many guests attending the Rally may not be familiar with the area. Please remember to always watch for motorcycles. Help spread awareness during this busy weekend, request a free Watch For Motorcycles bumper sticker from Hupy and Abraham today. If you or a loved one are injured due to the negligence of someone else this Labor Day weekend, Hupy and Abraham is here to help. Call us at 800-800-5678, or start a live chat with us anytime at Hupy.com.